Conor O'Malley; Ger O'Brien, Kenny Browne, Lee Desmond, Ian Bermingham; James Chambers (Jamie McGrath 86); Chris Forrester (Greg Bolger 78), Killian Brennan: Conan Byrne (Morgan Langley 65), Ciaran Kilduff, Aaron Greene. Micheal Schlingermann; Sam McGowan, Lloyd Buckley, Alan Byrne, Joe Gorman; Cathal Brady, Mick Daly, Sean Thornton (Mark Hughes 65), Jason Marks (Carl Walsh 78); Tiernan Mulvenna (Lee Duffy 65), Daryl Kavanagh. 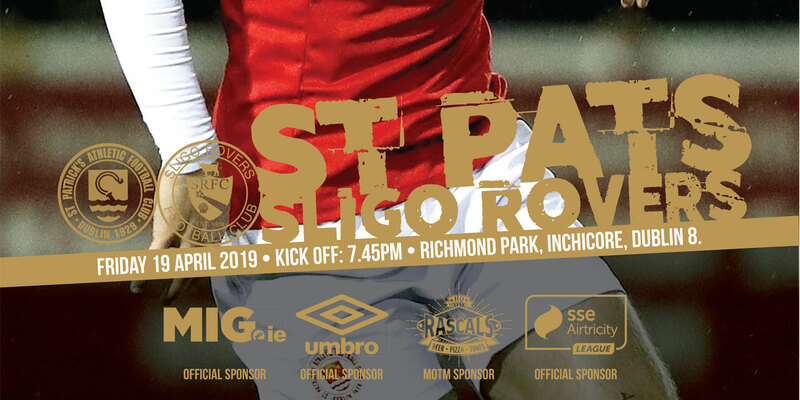 A late penalty from Lee Duffy earned Drogheda United an unlikely 2-2 draw against St Patrick's Athletic in their SSE Airtricity League Premier Division encounter at Richmond Park. Defender Lloyd Buckley headed Drogheda into a surprise 33rd minute lead. St Pat's hit back to level through Conan Byrne with Ciaran Kilduff putting them ahead on the hour. But substitute Duffy snatched Drogheda their point with an 83rd-minute spot-kick. The opening exchanges reflected the respective sides' current form as St Pat's had two corners early on, with James Chambers bringing a comfortable save from Micheal Schlingermann for the first time on six minutes. St Pat's keeper Conor O'Malley had to work a little harder four minutes later as he went full stretch to push away Drogheda dangerman Daryl Kavanagh's low drive. But the home side continued to own much of the ball. 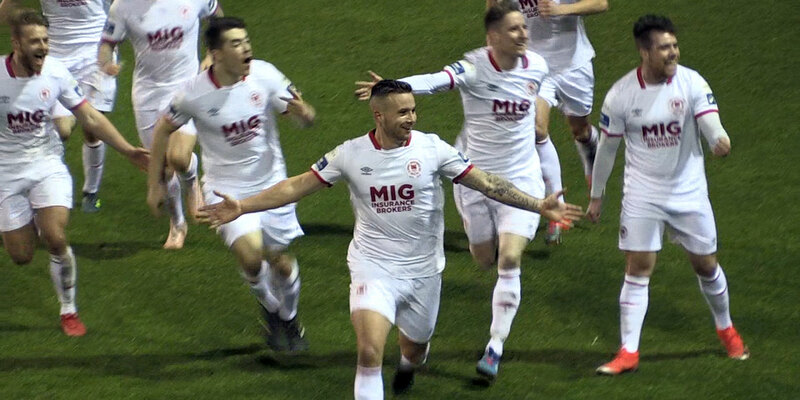 Drogheda scrambled clear a powerfully delivered low cross from Ian Bermingham, while James Chambers blazed over the bar on 22 minutes as St Pat's remained in command. Three minutes later, the woodwork rescued the visitors as Chris Forrester showed good feet to make the space to crack a 25-yard left-footer off Schlingermann's crossbar. Against the run of play, Drogheda were gifted an opening following a mistake by Kenny Browne on 28 minutes. It gave Jason Marks a run through on goal, but the winger rushed his shot which was well wide. 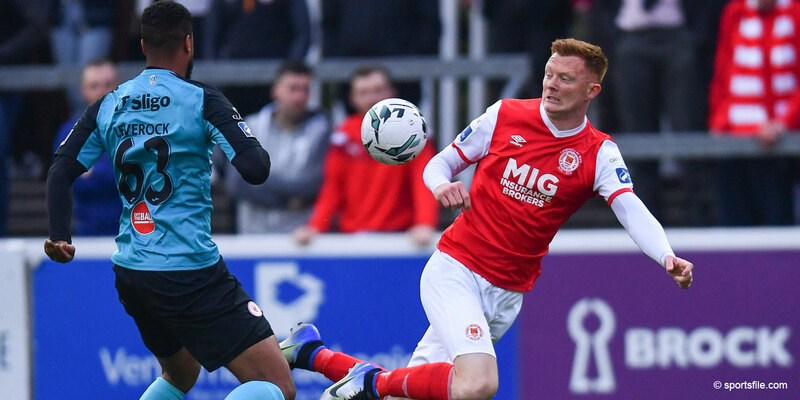 It gave Drogheda a jolt of confidence, though, and they snatched the lead on 33 minutes. Kavanagh won a corner from a deflected shot after a decent move. That was put out for a second corner and from Marks' delivery, central defender Lloyd Buckley headed home to score for the second game running. The Saints kept playing and after Bermingham and Forrester came close, they were level a minute before the interval. Left-back Bermingham got to the end line to cross for Byrne to arrive to head home at the back post for his second goal of the season. Continuing to run the game into the second half, St Pat's dominance got its reward on the hour mark. Drogheda's Alan Byrne and Sean Thornton lost the ball inside their own box and Kilduff pounced to turn and shoot home. Aaron Greene had a header tipped over by Schlingerman, while Kilduff had two chances to add a third goal, but headed, and then sidefooted wide. The sting for St Pat's them came on 83 minutes as Kavanagh was tripped in the box by Lee Desmond and Duffy calmly slotted home the penalty.